Those who are familiar with our area already know that Baldwin County is a highly desirable place to live. However, despite the growth that we’re going through right now there are many areas in the county where housing is surprisingly affordable for just about everyone. 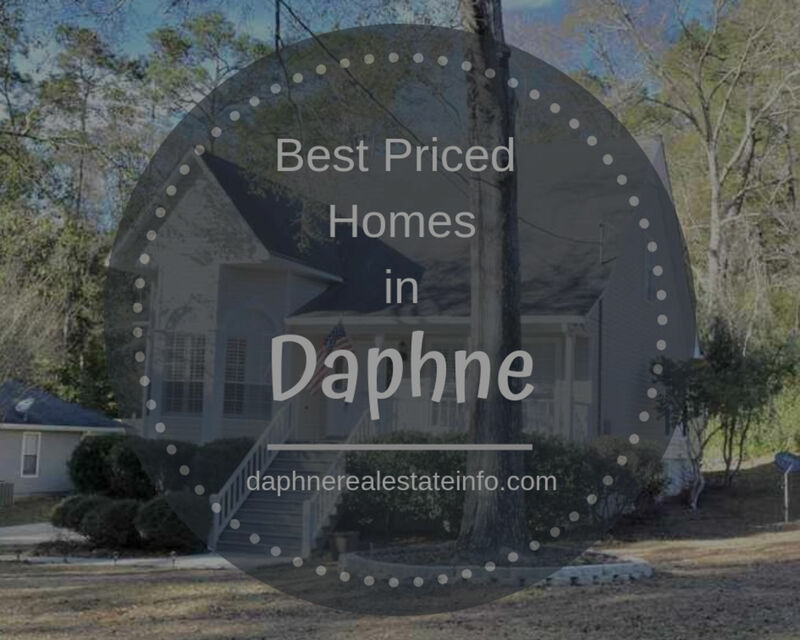 Daphne is one of the fastest growing cities in the county yet boasts some of the best home prices in the region. Because of this I wanted to highlight homes with low prices and the neighborhoods in Daphne where you can get a lot of bang for your buck. The list of neighborhoods below reflect homes that are for sale with the lowest price per square foot. So, for February 2019, here are all of the areas with homes that are below $109 per square foot. The links below will take you to the real estate page for that neighborhood giving you the homes that are currently on the market for that subdivision. As you can see, home prices in Daphne are very reasonable. In fact, I publish a monthly report for the whole county regarding market conditions. In December’s report, Daphne has the lowest average price per square foot among the top 6 cities in the area. 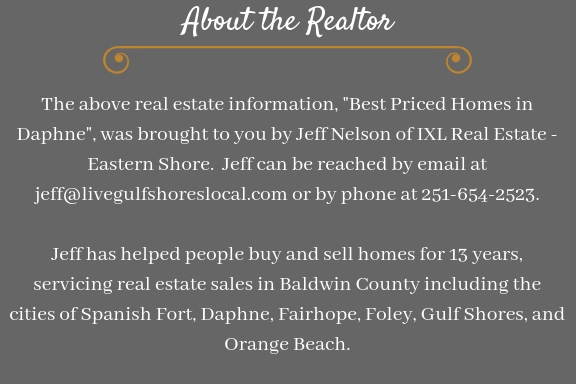 To read that report, please visit the Baldwin County Real Estate Market Report – Dec 2018. Daphne is growing fast and there are many different neighborhoods to choose from in new construction and existing homes. If you’re looking for great prices, please check out the neighborhood links above and contact me for more information. I can provide you with additional details and schedule an appointment for you as needed. Call or email me from the information below.